Get in the credits of Frutorious in our next update! Hey! Psst! Wanna get your name in the credits for Frutorious in our first update? 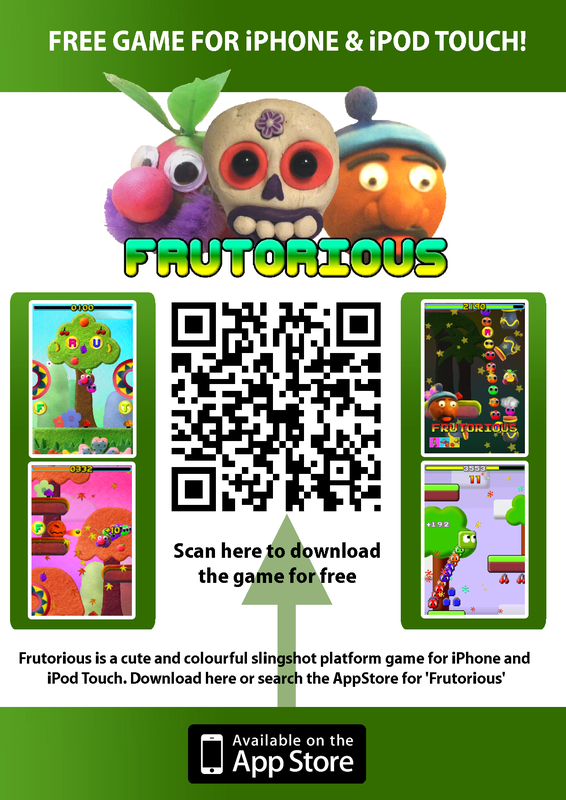 Become a Frutorious Super Chum! All you have to do is print off this poster, stick it somewhere awesome, legal and public (a shop window for instance), take a photo of you next to it… and send it to us! Alternatively, share this on Facebook or Twitter and let us know. Anyone who does it will be credited in our first update to Frutorious in the credits as a Frutorious SUPER CHUM! Previous postFrutorious is up on the AppStore to download! Next postFrutorious PRO TIPS for SUPER PLAYERS!